No matter what kind of landscaping plan you have in mind for your Medford, Oregon lawn, you want to make sure you hire the best landscape experts in the area. Finding the appropriate people for your lawn and your needs will ensure a quick and smooth process. When searching for a landscaper, look for the following traits. The best landscape company for your lawn should have a strong reputation among the community. Personal references are valid, but you may need second opinions to reinforce them. 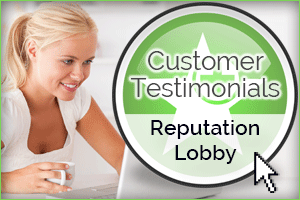 You can verify that reputation by searching for online reviews and databases to see how other community members see those services. In addition, ask the landscaping specialists for references as well to see how they provide their services and how effective they are. In addition to their community reputation, you should also check that the workers have the appropriate license, credentials, and insurance requirements. Again, online databases can assist you to determine how qualified they are. Looking out for these requirements will prevent future legal and operational problems. Additionally, make sure that the landscape employees have the right experience for the job. For example, if you desire more complex structures in your lawn, you will need an architect with college degrees and a license. Beyond just experience and qualifications, the landscape experts should also strive for reliability and flexibility. The lead designer or architect should communicate with you if there are any issues and he or she should reach back to you as soon as possible if you try to talk to them. Also, the landscapers should adapt to any situations with your yard, depending on the type of work you want done or if any unexpected incidents occur. Ensuring a strong relationship between yourself and the workers is an important priority that will lead to better results. Consider the specific plan you have for your lawn and all the components that will go into it, as well as the price for everything. After that, consult with a variety of landscapers and obtain different quotes from each one. The ideal landscape company should meet with you regarding the proposed budget and your overall plans. raise the curb value of your home. Try out some of these landscaping ideas for the spring season. texture around trees or wherever you choose to place it. creative with how you arrange your lights, particularly alongside the paths. If you want your landscape to evoke nature, consider installing a small pond or water feature. to keep this feature simple by using no more than three elements. add a natural touch to the chair or bench.